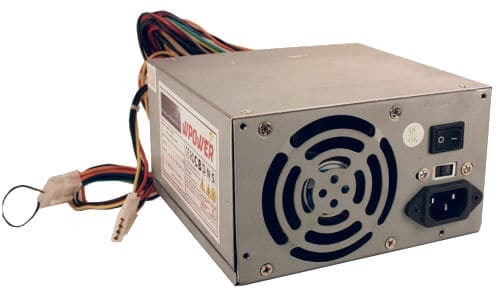 This power supply is meant to power a computer but works great to power other 12 volt accessories in your house. It plugs into a 110 volt wall outlet and lets you power up to 16 amps at 12 volts. 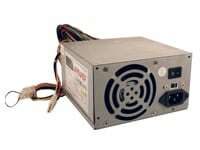 Restaurants and retail shops used this power supply as a convenient way to power cathodes and LEDs in a shop sign. 1. Find the biggest bundle of wires with the 20 pin connector. 3. 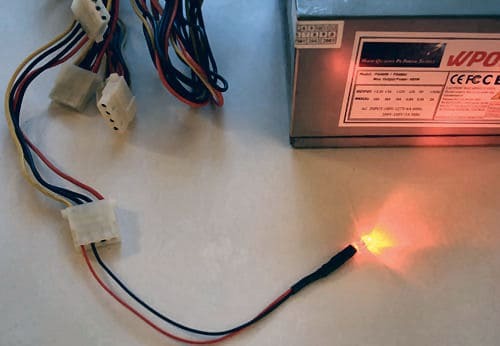 Connect the green wire to any black wire in the bundle - you can use a paperclip, a small piece of wire, etc. Or permanently splice and solder the wires together. Then, just flip the power switch on the back and the fan will start running. 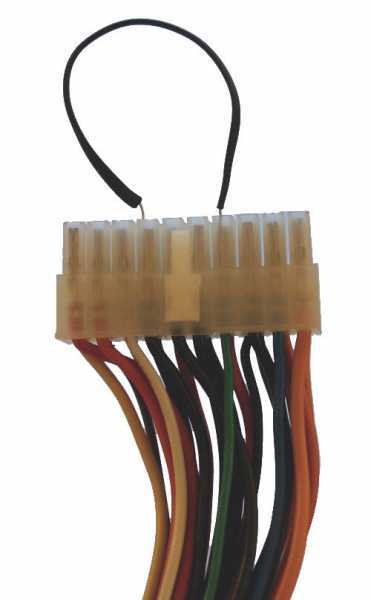 To get your 12 volts, find any one of the medium sized rectangular connectors with 4 wires. The yellow wire is 12v+, and the black wire next to it is 12v- (or ground). Great Product. Can't get over how well it works. Runs very quiet and also very very smoothly. Right now it's powering a cold cathode kit behind my entertainment center in my room, i'll also be using it to run an underglow kit in my room too!